This is where you’ll learn about becoming a Dayton Firefighter: the hiring process, qualifications, benefits and everything in between. 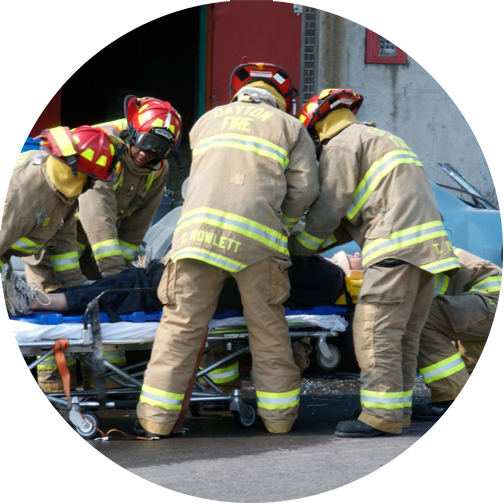 A career with the Dayton Fire Department will provide you with many options and opportunities. Explore the links above to learn how to become a Firefighter and what awaits you in this rewarding career. If you’re looking for meaningful work, a chance to make a difference in your community, the opportunity to forge lifelong friendships, and the excitement of new and exciting work every day, then the Dayton Fire Department is right for you! Applications will be accepted from January 2, 2019 – February 14, 2019. The 2019 Test Date will take place on April 13, 2019. *Firefighters will be paid at the Recruit Step while in training at the Dayton Fire Training Center and move to step 1 upon graduation. The length of time in the Firefighters classification served between Steps 1 and 2 shall be six (6) months; between Steps 2 and 3, twelve (12) months; between Steps 3 and 4, twelve (12) months; between steps 4 and 5, 12 (12) months; between Steps 5 and 6, twelve (12) months; between steps 6 and 7, twelve (12) months; between Steps 7 and 8, twelve (12) months; This pay schedule shall result in full pay for the Firefighters seventy-eight (78) months after graduation. For those interested in advancing through the ranks, several options are available. The ranks of Lieutenant through District Chief are attained by way of a competitive Civil Service promotional examination. Persons in these positions are covered by Bargaining Unit contract. The ranks above District Chief are made by appointment, and are not part of the collective bargaining process. Firefighters are eligible to sit for the Lieutenant’s exam after 5 years of consecutive accredited service as a sworn Firefighter. The Fire Department has a very different hiring method than the average business. It can take six months to two years to get hired from the date of application. 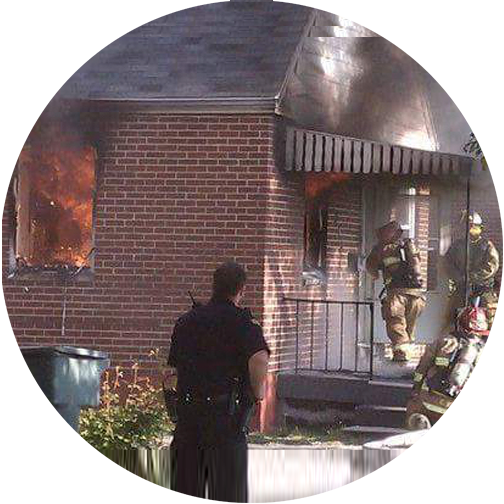 Our next Fire exam is April 13, 2019. We are accepting applications January 2 through February 14, 2019. So, how does the hiring process work for the Dayton Fire Department? After all of the above steps have been completed and your medical examination has been processed, you will receive a letter notifying you of the academy start date. AGE: Must be 16 years of age at time of time of examination, 18 years of age at time of appointment. Must not be over the age of 41 by completion of the fire training academy. EDUCATION: Must have a high school diploma or GED at time of appointment. LICENSE: Must posses a valid Driver’s license at the time of appointment and maintain as a term and condition of continued employment. CITIZENSHIP: Not required; however, you must provide documentary evidence of Employment Authorization and Identity. CHARACTER: Must be of good moral character, have no disqualifying police record of convictions, have a good previous work record, good driving history and the ability to get along with people. Must pass a complete background investigation including credit history, driving history, previous employment history and any criminal history you might have on record. PHYSICAL: A job-related medical examination which includes a drug screen and cardiovascular and pulmonary fitness testing will be conducted. Vision without correction must be a minimum of 20/100 in EACH eye. Corrected, vision must be a minimum of 20/40 or better in EACH eye. Must not be colorblind. Sign up to get recruitment information from the Dayton Fire Department. We'll let you know about recruitment updates, deadlines and more. We will use your information only to send you information relating to this position and do not intend to share your information for other purposes. 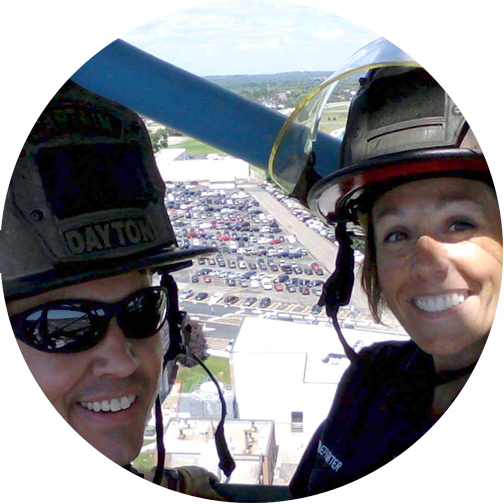 Do you have questions about joining the Dayton Fire Department? 2015 © Dayton Fire Department. All rights reserved.